This is a map of all the world—of countries near and far. I look at it to calculate where all my readers are! But oh, alas, for 18 months, that middle space was bare. one bit about my heartfelt posts. It was exasperating! I guess it’s all that ice and snow that keeps them hibernating. So finally I wrote a poem expressing my distress. and posted it upon my blog, this problem to address. a lovely Filipina lass who seems to really care. As you can seen above, I now have 2 views from that Isle. to view my blog and answer from where she lives in Nuuk. As you might guess, that really makes her tops within my book. So if you have some time to spare, please do inspect her site. For she deserves a helping hand for dealing with my plight. filipinaingreenland.com is where you’ll find her blog. With luck, her viewer numbers will move further up a cog. Her Greenland site is lovely. You’ll find some big surprises. As usual, reality exceeds our mere surmises! 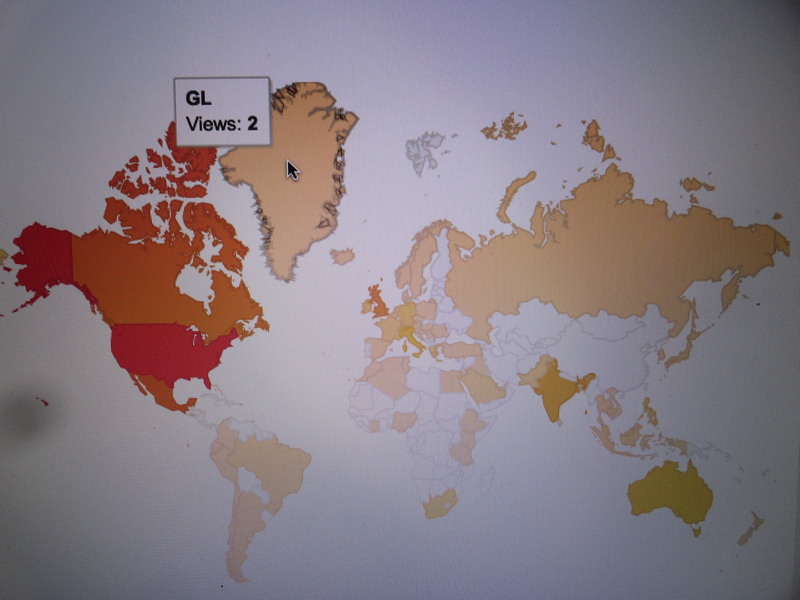 Thanks, Dani, for giving me two views from Greenland!!!! Now I have to figure out which country to concentrate on next. Actually, I promise to give it a rest and let nature take its course from here on out. No more recruitment!!! This entry was posted in Daily Post, Greenland, Poem, Poetry, Wordpress Daily Prompt and tagged Daily Post, Greenland, Judy Dykstra-Brown, Judy Dykstra-Brown Poetry, The Daily Post, Verse on August 3, 2014 by lifelessons. 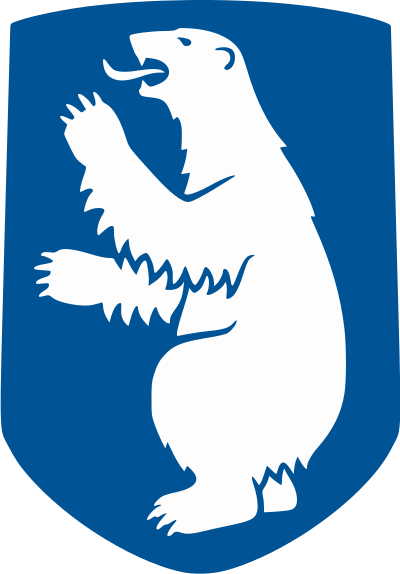 Do You Know Someone from Greenland? for on my statistics page it leaves a shocking gap. Italy is lit up and the rest of Europe, too. Mexico and Canada and Poland and Peru. I have fans in India, in England and in China. Readers in the States from Oregon to Carolina. and even in Australia, I have one loyal fan. But no one from that Island has ever viewed my blog. It seems that my well-oiled machine is missing that one cog. and perhaps that oxymoron may make Greenlanders mean. the Internet’s the sort of place that they would want to go!!! and if they want X-Rated, my blog is not the spot. my blog may not be steamy, but it’s guaranteed frost-free! The Prompt: Road Tripping—‘Tis the season for road trips — if time and money were out of the equation, what car-based adventure would you go on? (If you don’t or can’t drive, any land-based journey counts.) . . . I interpreted the prompt loosely this time, more as a road trip of the mind. After almost 18 months of blogging, I keep noticing that very big block of the world called Greenland that still sits blankly staring at me, resisting my blog. When Shawn wrote to me after reading my blog about statistics, (read it here) saying that she was waiting for a viewer from Greenland, I knew that was my cue. So although I doubt anyone from outside has ever taken a road trip there, if you’ve journeyed there by some other means, please drop a clue to any friends you may have who live there to take a mind trip to our blogs and shut us up!!!! This entry was posted in Blog Statistics, Blogs, Daily Post, Daily Prompt, Greenland, Notoriety, Poem, Poetry, Wordpress Daily Prompt, Writing and tagged Daily Post, Daily Prompt, Grønland., Greenland, Groenland, Humor, humorous poetry, Judy Dykstra-Brown, Judy Dykstra-Brown Poetry, Kalaallit Nunaat, poem, Poems, Poetry, Poetry by prescription, The Daily Post, Verse, writing on July 26, 2014 by lifelessons.